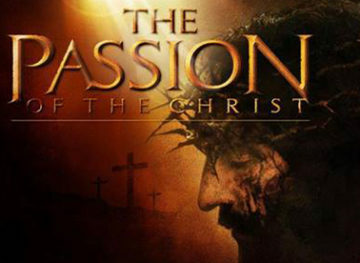 Please join us on Tuesday, April 16th at 6:30pm for a special film screening of The Passion of the Christ. Mel Gibson’s well-publicized production The Passion of the Christ concerns the last 12 hours in the life of Jesus of Nazareth. The dialogue is spoken in the ancient Aramaic language, along with Latin and Hebrew. In the Garden of Gethsemane near the Mount of Olives, Jesus (James Caviezel) is betrayed by Judas Iscariot (Luca Lionello). Jesus is condemned to death for blasphemy and brought before Pontius Pilate (Hristo Naumov Shopov), the Roman governor of Judea, for sentencing. The roaring crowd demand His death, so Pilate orders His crucifixion. Jesus is severely beaten and made to carry His cross up to Golgotha, the hill outside Jerusalem, where He is nailed to the cross, crucified and died… but His death is not the end! In this week leading up to Easter, let us remember the life, death and resurrection of the Lord Jesus Christ. This film is rated R due to violence and graphic scenes, viewer discretion is advised.